Nick Ludlow is General Manager for EMEA at Chrome River Technologies, Inc.
Let’s start with a scenario. Your employee buys a £145 refundable train ticket for a meeting in Manchester. The meeting is cancelled, and the employee is able to get a refund on the ticket. But they still have the original receipt, so they file the expense claim anyway – and you’ve just been defrauded out of £145. This is just one of the various ways your employees may be committing expense fraud. And in cases like this, fraud is both easy to commit and difficult to detect. For starters, there’s a gap in time between the purchase and the expense claim, and the record of each is completely separate from the other. On top of that, the purchase is made by the employee with personal funds. This means the business only sees what the employee wants them to see – which in this case, is a £145 charge, but not a £145 refund. This isn’t a new problem and is a recurring concern for many of the customers we speak to every day. But when surveying 1,200 business travellers recently across the US, UK and Australia, the scale of the problem became apparent. The results were clear: expense fraud is quietly hitting business’ bottom line at epidemic levels – across geographies, genders and job levels. But to really understand the problem and how to solve it, let’s dig a little deeper into the data. Ultimately, too many are committing expense fraud: around one in five business travellers (20%) admitted they had done so in the past, but it was interesting to see a fraud curve, with instances of admitting expense fraud climbing from blue-collar (12%) to white-collar (24%), peaking at manager-level staff (34%). Yet, the instances of fraud jump back up at the top of the chain-of-command, with one in ten (10%) CEOs and owners also confessing to fudging their expenses. So, while men appear to be more likely of committing expense fraud than their female co-workers – 45% more likely in fact – this is clearly a widespread problem for all demographics. And on top of that, this isn’t normally a one-off occurrence: the majority of those who admitted to it (76%), said they’ve done so more than once. It’s important to acknowledge that expense fraud is, quite often, carried out by those people who are inherently honest and don’t intend to defraud their employer of huge amounts of money. More often, they’re just committing small acts that they don’t even view as ‘fraud’. And they do it because it’s possible and they don’t think anyone will notice. 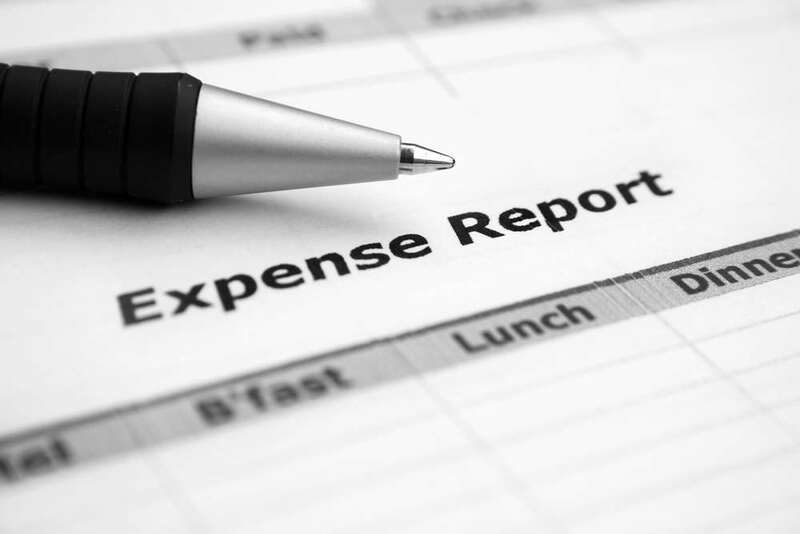 Over-claiming for restaurant tips, submitting too much for allowed amounts and turning in receipts for unused items or trips are some of the most common expense offences. But ultimately, it all amounts to employee fraud – and it adds up. We found that employees reported adding an average of £225 per expense report – and if they get caught, they’re likely to get away with just a warning. Large or small, expense reimbursement fraud really does cut into a company’s bottom line – and drives up the cost of doing business in the process. These costs, in turn, may well get passed on to consumers in the form of higher prices, meaning that not only does your business lose, but your customers lose too. With such a widespread problem that is often perpetuated by company culture, there’s no quick fix for solving the expense fraud problem. But there are a few key steps finance teams should be considering, to help cut down instances and minimise impact when it comes to balancing the books. Start with policy. Set a clear and fair expense policy – one that’s free of vagueness but still shows understanding of employees who travel often. Give your employees the right tools. A third of business travellers are still turning in paper receipts to claim expenses – despite the fact that the employees who rely on hard copies are more than twice as likely to commit fraud. So, think about putting systems and tools in place that make it easier for employees to claim the right amount, and easier for policy to be automatically enforced. Audit selectively. Try auditing the first 10 expense reports of all new hires, to make sure they understand and comply with your policy. Then, continue monitoring – perhaps by auditing every tenth report submitted, for example. And remember to look at backdated reports, too, so that you can correlate receipts with specific events or trips. Bring in support from HR. Expense fraud can come from learned behaviour, so make sure managers – and their managers – are being given counsel on the appropriate penalties that help to deter future fraud. Above all, remember that most honest employees simply need the right guidance and tools. And for the outliers, these steps may not eliminate expense fraud altogether – but they’ll certainly reign in the problem, giving you one less thing to worry about on the bottom line.